On November 29th 2016, the second time the AAL Summit Smarter Lives took place in Innsbruck. 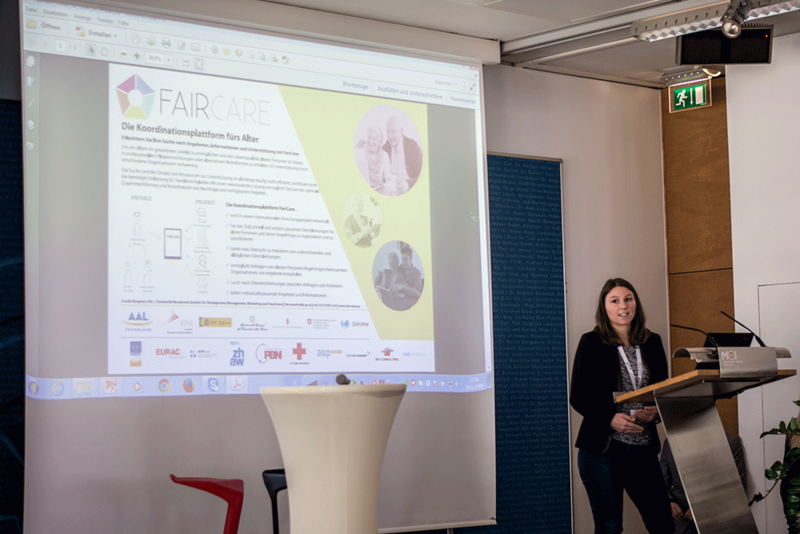 FairCare was represented at the fair on the booth of SIS Consulting GmbH and the Austrian Red Cross. Furthermore, it was presented during the Elevator pitches by UIBK. The event was enriching for networking and interexchange on scientific approach planning and realizing. Several representatives of the Austrian and also Italian AAL community were present.